Wizard of Oz Storybook App Released on the Heels of New Disney Movie. As a child, I grew up watching the original ‘Wizard of Oz’ movie. I’ve tried multiple times to get my young children interested in the popular film, but it seems to be too dated for them to get into. Now, Disney has decided to do a re-make of sorts with their ‘Oz the Great and Powerful’ movie, coming soon to theaters. Of course, since Disney has their hand in it, my kids can’t get enough of the ‘new’ Wizard of Oz. Consequently, the release has sparked Random House’s newest storybook app, ‘The Wonderful Wizard of Oz for iPad’ and my children were thrilled to get their hands on it. 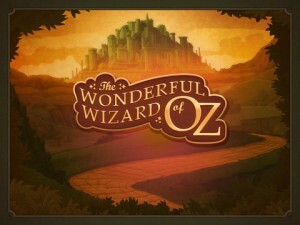 The best thing about ‘The Wonderful Wizard of Oz for iPad’ is the multiple story modes that the app has to offer. The story is based on the novel that was published in 1900 and the app has an ‘Original Novel’ mode. This mode is appropriate for the older children in your life. It has 24 chapters with only light interactivity. It covers most of the original novel with beautiful illustrations to boot. I do not have any children over the age of 5, however, I thoroughly enjoyed reading through the original novel mode, myself. Don’t have an older child, either? Not to worry! The app also has a ‘Picture Book’ mode that is geared toward small children. This mode is complete with enhanced interaction and animations, real-time physics within interactive scenes, page by page narration, tons of sound effects and, best of all, lots of music from the original film that we have all come to know and love dearly. As storybook apps go (and I have seen a lot of storybook apps), ‘The Wonderful Wizard of Oz for iPad’ app is one of the most beautifully illustrated that I have ever seen. As you can see in the provided images, the animations are reminiscent of the original film and do it justice, completely. 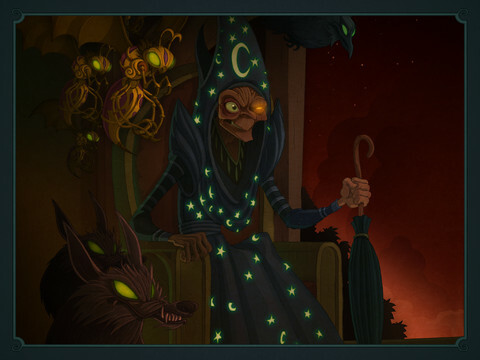 The Wonderful Wizard of Oz for iPad is available for download via the Apple iTunes App Store button below for $3.99. This app is compatible with iPad only and requires iOS 5.1 or later to operate.